The Stolen Sky Ring (S02E11) is the eleventh episode of season two of "Katekyo Hitman Reborn!&q... More The Stolen Sky Ring (S02E11) is the eleventh episode of season two of "Katekyo Hitman Reborn!" released on Sat Aug 11, 2007. 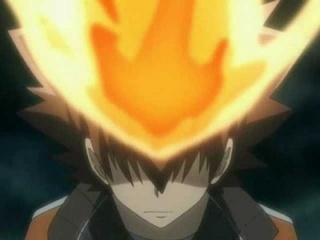 Over 113 TV Time users rated it a 0/10 with their favorite characters being Yukari Kokubun as Tsunayoshi "Tsuna" Sawada, Neeko as Reborn and Hidekazu Ichinose as Hayato Gokudera.